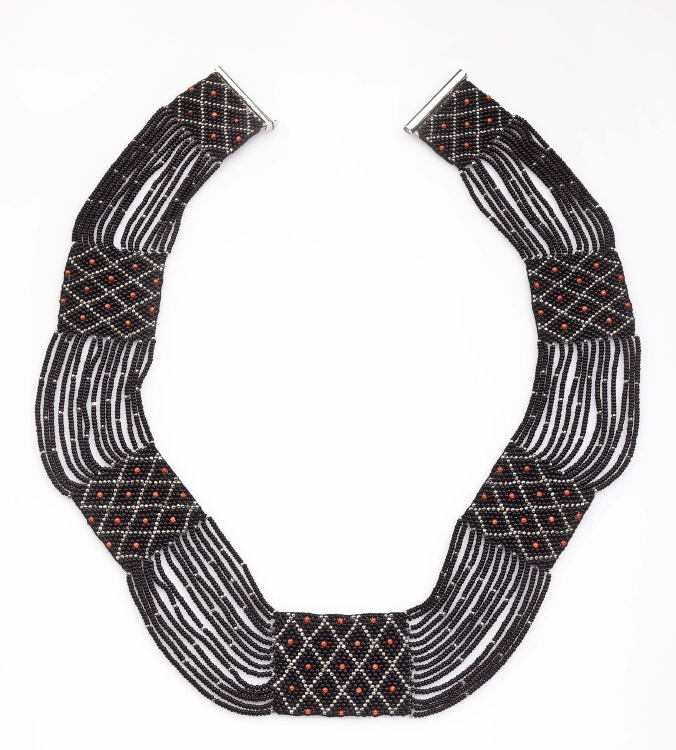 Wiener Werkstatte Black Beaded Flatweave Necklace with Coral. This necklace was made in early 20th Century and attributed to the Wiener Werkstatte, Vienna Austria. The necklace has been meticulously restrung. The necklace is composed of black glass beads with a silver metallic diamond design each centered with a red coral bead. The necklace measures 16.75 inches long and 1.25-1.75 inches wide. The necklace is in excellent condition.